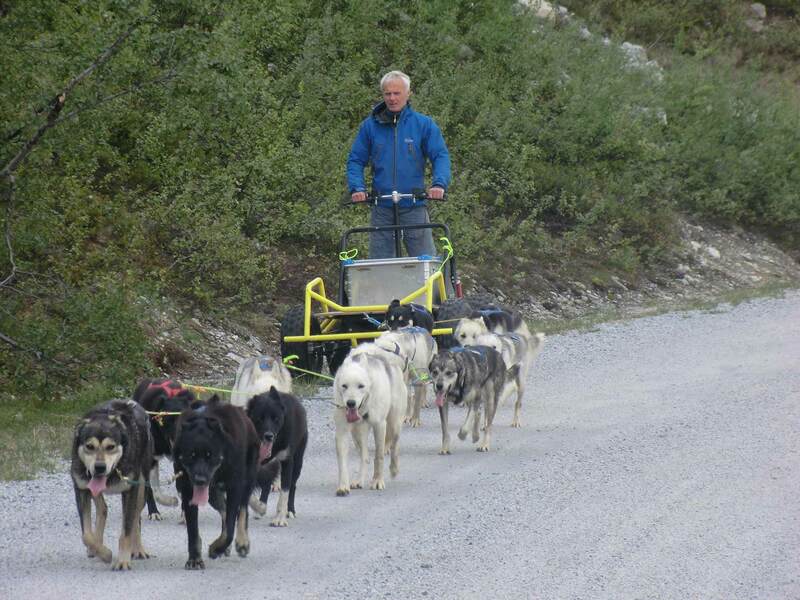 This tour runs on small mountain roads in beautiful mountain areas.Experience the sound of dog sledding, only the sound of the dogs who work and tails that wag. Join a wonderful and memorable experience in amazing scenery. It is not necessary with experience, we teach you what it takes to run your own dog team and answer all your questions.There are 2 adults per wagon, one driving and one sitting passenger. you swich halfway. This activity is dependent on weather conditions, and is only sold on spot. Huskies are arctic animals and cannot run in too warm weather. If the day is too hot, we recommend the husky hike. PRICE: 500 per adult, 250 for kids under 12 year. WHAT DO I NEED TO BRING? : Outdoor clothing, good walking boots – And holiday mood!